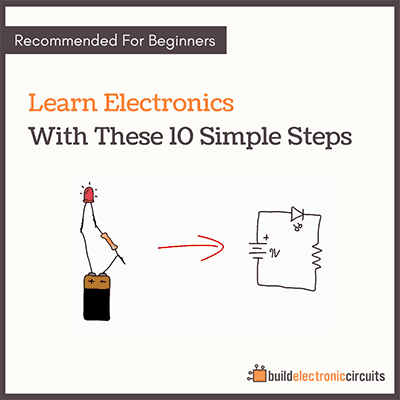 In electronics we can find both series and parallel circuits. 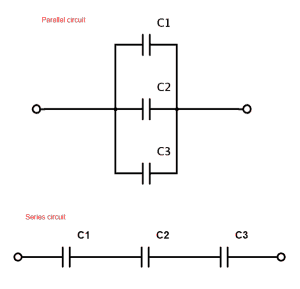 A series circuit is a circuit where the components are connected in a consecutive chain. This gives the current only one path to take. A parallel circuit is a circuit where the components are connected parallel to each other. So the current will flow in several paths. 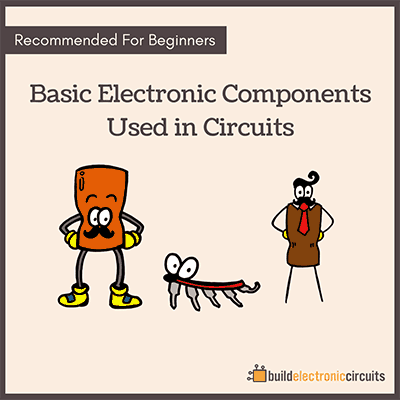 Often a circuit is a mix of series and parallel circuits. 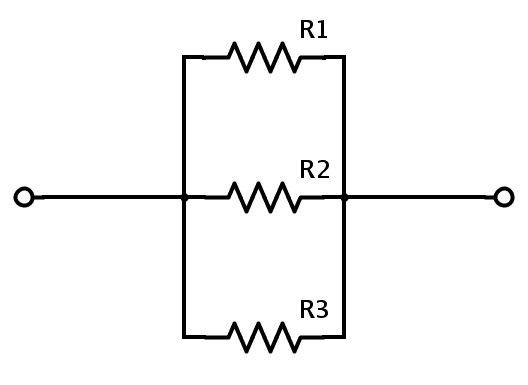 If you have several resistors connected in series, it’s very easy to find the total resistance. All you have to do is to find the sum of all the resistance values. 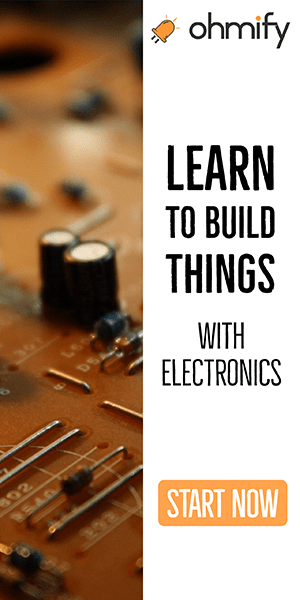 Capacitors connected in series are a little more complicated to calculate, but still easy once you learn it. To calculate resistances in parallel you use the same method used to calculate capacitors in series. And vice versa. 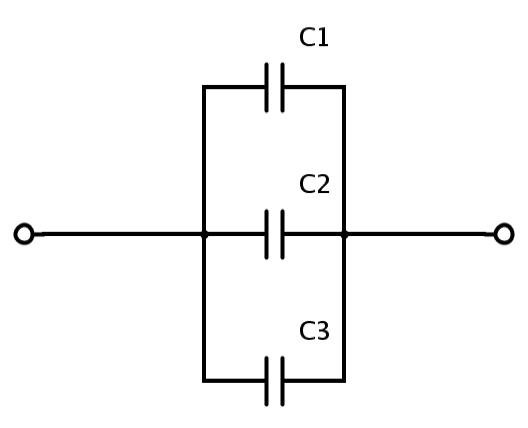 The current in parallel circuits can be different from path to path. To find the current of a path, you use Ohm’s law. You calculate capacitance in a parallel circuit simply by taking the sum of all the capacitance values. Write your comments and questions in the comment field below. Can you also please guide me on how to design simple circuits like dark sensors, etc…. can i get how to design the inductor and transformer please suggest me. Hi! Thanks for all the effort on all these articles. Just curious, so are capacitors connected in parallel useful? As it just decrease the capacitance.